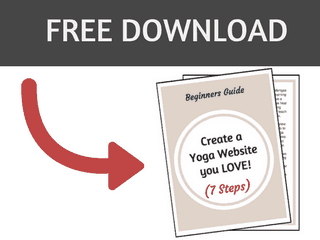 Feeling lost after your yoga teacher training? 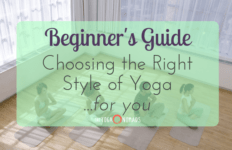 Have you started to teach classes, but still feel like a beginner? 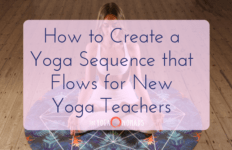 It can be difficult to gain confidence as a new yoga teacher. But just as in yoga practice, it’s important to keep coming back and showing up. Eventually, you’ll begin to find your rhythm; it just takes time. Remembering to be a student is equally as important as practicing being the teacher. We have so much to learn from those who’ve come before us! So much of the ancient practice of yoga is best passed down from experienced yogis and teachers. You’ll benefit greatly from this article if you’re a newer teacher. But even as a more experienced teacher, there’s nuggets of wisdom you can take away, too. 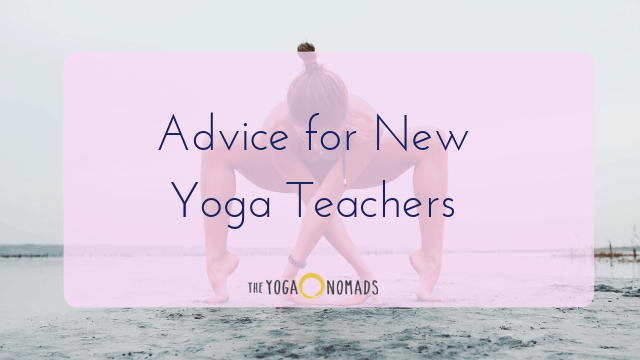 Below you’ll find the advice from 3 seasoned yoga teachers to help out the newbies just getting started. Just as in a yoga class, take what works for you and leave the rest! Meg Townsend is a creative, healer, and yoga teacher passionate about living a bright and inspired life every day. She was initiated into the Sri Vidya Tantric lineage as brought to the West by Swami Rama of the Himalayas and continues to study with her teacher, Yogarupa Rod Stryker, in the ParaYoga system. She is a certified Ayurvedic Yoga Specialist by the Himalayan Institute and a certified Reiki Master in the Usui Method by the Reiki School of Philadelphia. Meg believes that anybody can do yoga and welcomes all bodies and ages in her practice of teaching. Tantra means “to weave” and the beauty of her yoga lineage is that the teachings support us in living in the world. I studied Reiki level 1 with Meg and regularly attend her Hatha flow yoga classes in Philadelphia, so I can say from experience what a magical human and incredible teacher she is. What do you wish you knew when you were first starting out? 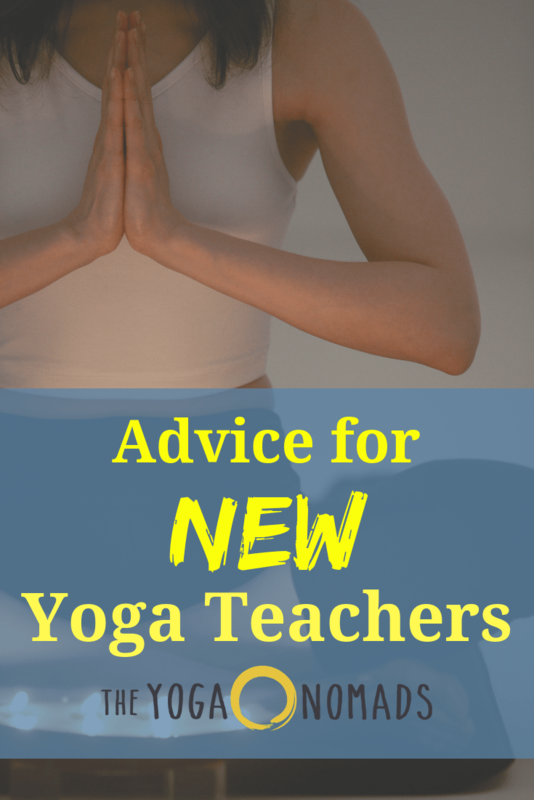 What advice do you have for new yoga teachers? My very first yoga teacher gave me this most valuable advice and I share it with every newer teacher: be reliable, helpful, and ON TIME and you’ll set yourself high above the rest. Make an effort to learn your students’ names. Check in with them as you meet them to learn about any injuries their dealing with, and find out if they’re okay with hands-on assists. And create a space where it’s fine if they don’t feel comfortable sharing any of this information with you! Teaching yoga doesn’t end with a 200-hr certification….this is a lifelong process of educating yourself and practicing. Be hungry and humble in your efforts to develop, but don’t be afraid to step into your own power when it’s time. Know your scope of expertise and practice and have integrity around what you say and offer to people. Don’t be afraid to say to someone, “I don’t know” or “I am not the best fit to help you with that but let me recommend someone who is!” You’ll actually gain more trust and respect from people when you operate this way. Please don’t take photos of your students in savasana. This is happening so much as of late with the addition to social media in the yoga culture. Our role as teachers during class and savasana is to hold space for people, not to photograph them (especially if you haven’t asked for consent!) There are other ways to market your classes and invading someone’s personal space isn’t the way. Practice, practice, practice. Your practice feeds everything else and is the whole reason why you teach! So do your practice! Also practice the mechanics of teaching….walking and talking and observing people as you guide them through practice. As that becomes second nature, it will give you the space to let the deeper work happen. 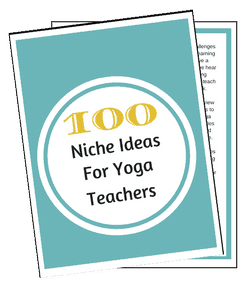 What advice do you have for new yoga teachers who want to make yoga & wellness their full-time business? First and foremost, keep your day job for a while. I always knew that I would make this work my full-time thing, but I was very intentional about every step along the way. I didn’t want my relationship to my practice to change when I started to teach more. I have heard so many stories about teachers who lose their connection with their practice and therefore lose their connection with their WHY for teaching. I had been teaching for 5 years before I took a scary, fully trusting leap to making a living doing this work. It’s difficult some days but I know deep in my cells this is what I’m meant to do and when I stay plugged into my practice first and foremost, I’m guided from a place of my highest wisdom. Learn a thing or two about business. There are so many training programs available to help you sharpen your skills as an entrepreneur and what you’ll learn will support you in being organized and effective! Make sure the person you choose to learn from is embodying what they’re teaching. Know that business ebbs, flows, and evolves…..just like life. The more you can be open to that, the less you’ll stress unnecessarily. 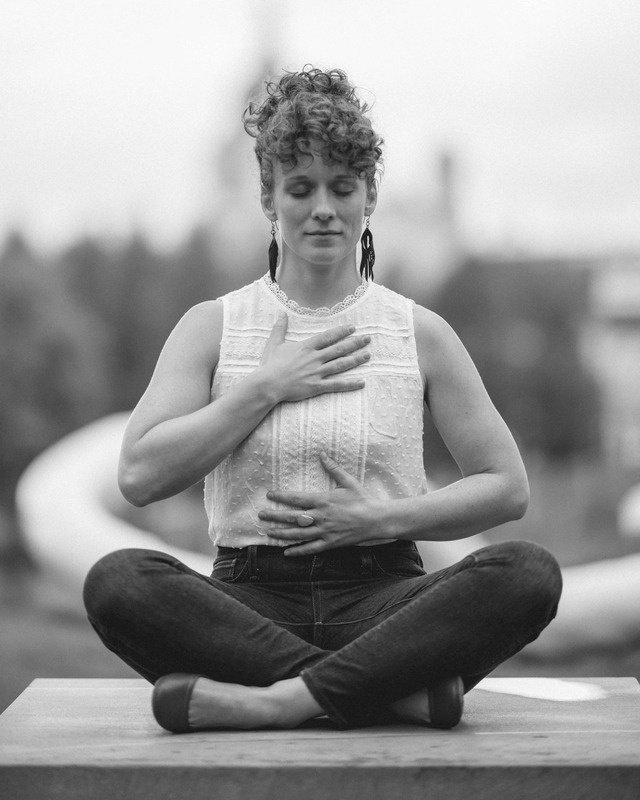 Born and raised in Minnesota, Tatum Fjerstad has taught yoga all over the U.S. and Canada. She’s worn many hats in her life, including child actor, journalist, marketing manager, and, more recently: craniosacral therapist, Acupuncture and Chinese Medicine student at Northwestern Health Sciences University and organizational sorceress at Constellation Acupuncture and Healing Arts. She’s dedicated to using her knowledge to help human beings be okay with being human. Tatum lives with her partner, his son and their cat, Gary. She loves Australian licorice and dismantling white supremacy and the patriarchy by confronting and demolishing her unconscious biases. 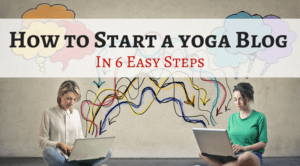 In my first teacher training, there was a total of 2 hours set aside to talk about the business of yoga and it did nothing to prepare me for the kind of hustle that is required to build a remotely successful business as a yoga teacher. 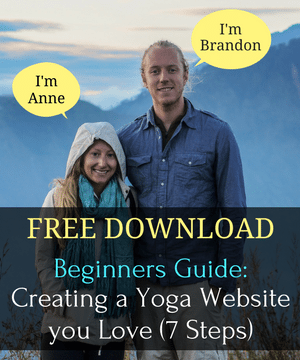 As someone who doesn’t want to teach at a large yoga chain or gym, isn’t interested in sponsorships or being a brand affiliate, I had my work cut out for me. 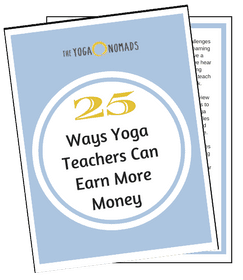 There was no way I would have been able to sustain myself on yoga teaching alone. I always had another full-time job to pay my bills. I’m a hard worker who doesn’t give up when she really cares about something so I found a way to make it work, but I wish yoga schools took more time to be honest with their TTs about this sort of thing. In those early days, I wish I understood the industry better. Most every teacher training is set up to help keep studio doors open, but not necessarily to equip its graduates with the tools they need to start their own teaching careers. I also wish there were more conversations around cultural appropriation, trauma sensitivity and discussion on how to build inclusive spaces for all. I was teaching for years before I realized I was creating unsafe spaces, culturally appropriating and being silently violent to people of color and those in the LGBTQ+ community. I’m incredibly thankful that I am a resilient and resourceful person who has sought out this information in recent years. But I think, in order for white, cisgendered, heterosexual people like me to level up in the wellness community, we need to raise our standards and actually show up for everyone. Compassion and kindness for all – not just the people who look like us. Keep being a student. You have so much more work to do. Sub other classes as much as you can. Studio owners will notice and give you a regular teaching time. Show up on time. End your classes on time. Don’t go over. It’s rude. Don’t sub out your classes regularly. Treat this like you would any other job and show up. Don’t get a sub because you just don’t feel like holding space that day or you really want to go to a concert later instead. If a studio gives you a class and it’s a new class on the schedule, plan to show up every single week for at least 6 months before that room fills. Don’t drop the class because only two people show up every week. These things take time. Be yourself. Don’t try to be some teacher you saw on Instagram or even your most favorite teacher. My students love me because I show up as the same Tatum I am in my friendships and at home. My voice doesn’t change, I don’t pretend to have everything figured out, because I don’t. You don’t either. Be a good listener and be empathetic. When your students tell you things or ask you questions, don’t make it about you. Make it about them. They are being vulnerable with you and that is a very special thing. Listen closely, make eye contact and thank them for sharing with you. Vulnerability is recognizing our shared humanity. Saying “I don’t know, let me look into that for you” is a good answer if it’s the truth. Have boundaries. People may get too close or want too much from you. You have to decide what your boundaries are and you need to stick to them. Don’t do things for free or spend too much time emailing or messaging back and forth with a client if it feels like the exchange of energy isn’t serving you. If you’re a white woman (or man), like me, and you’re interested in creating inclusive spaces, sign up for a trauma-sensitive workshop. Read The Body Keeps the Score. Read White Fragility and So You Want To Talk About Race. Educate yourself on how to use gender non-binary inclusive language. Buy Skill in Action: Radicalize Your Yoga Practice to Create a Just World. Check your privilege. Teach at studios that have a diverse teaching staff. Own your mistakes and apologize. Shakira Scott is a Berkeley native raised around artists, musicians, educators, and Black Hippies who started to explore a yogic lifestyle in 2009 after developing intense back pain. She fell in love with the effect on her physical, mental, and emotional body after a few months. 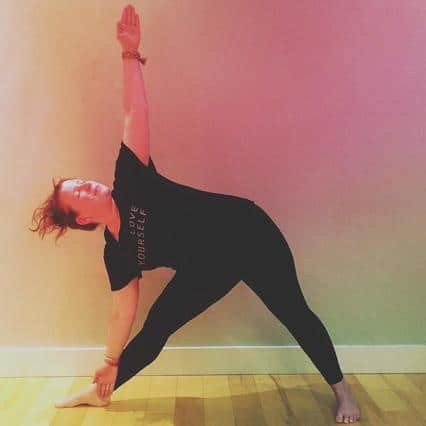 After studying and consistently practicing, she knew she had to tell her people (Baydesterians) about the magical world of yoga, so she completed her 200-hour teacher training with Yoga to the People. While in teacher training she “practiced” teaching in parks and public spaces to whoever was willing, and never turned back. Her alignment based Vinyasa flow classes include supported motivation and guidance, as well as time to explore one’s own body. Early in 2017, she met and began training Oakland Raiders running back Marshawn Lynch which has opened her training technique to athletes. Today she currently teaches at a handful of gyms/studios, schools, retail spaces, open spaces; coining the title “Your Local Yoga Dealer.” She loves working with all bodies, both well-seasoned yogis and first-timers. When I first graduated from my teacher training program, I thought that I would have as much time to practice as I would to teach. 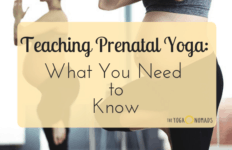 It turns out, after teaching thousands classes over the past three years, sometimes I just don’t want to DO yoga (myself) and I know that’s not a good thing, but it’s reality. Fitting my own practice into my schedule is sometimes challenging, but that’s where home practice comes in handy. I knew that I wanted to create a business but I had no idea that the business would often take away from my individual practice. I wish I knew that yoga studios and gyms pay quite differently. I wish I knew that most gyms don’t view yoga the way that yoga studios do. That may sound like an obvious statement, but working for a top franchised gym I noticed the lack of respect and attention they give yoga, in comparison to other “fitness” classes. I wish I knew that some people will probably never appreciate the healing properties of yoga and that they will never want to try it. I wish I knew that no matter what I say or do I just won’t be able to reach some people, and that is okay. Everything isn’t for everyone and I am in no position nor do I want to force anything on anyone. I wish I knew the impact that my practice and my career would have on younger people. I had no idea that I would be in a position to teach children as well as adults yoga. Teaching children in Oakland specifically, yoga and meditation has become one of the highlights of my career. Every time I see these little people in asanas or in a meditative pose it just warms my heart. Never allow your personal practice to suffer. No matter how successful or how busy you get make sure you take at least 10 minutes out of every day, twice a day, to get done on the floor, or get down on your mat and stretch your body out and take some time out to meditate. The more you practice, the better you will be as an instructor. I know that the more I take classes from other people, even if it’s someone on YouTube, I am humbling myself and allowing myself to explore my body in ways that I could never do while I’m instructing. 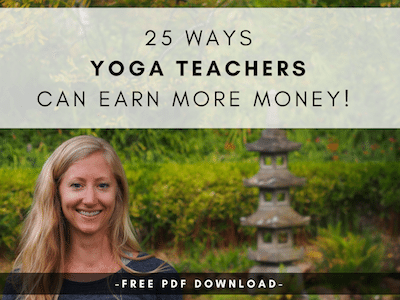 I want new yoga teachers to understand that to be successful in this business does not necessarily mean that you’re going to make a lot of money. If you want to do both, have a great practice and be successful monetarily, enroll in some business classes, work front desk at gyms and yoga studios, volunteer, teach for free, donation-based classes, whatever you can do; teach any and everywhere. Get your name out there. The money will come. As a yoga teacher myself, the best advice I can add to this article is to check your ego. Ask yourself how your ego and your desire to be seen as an “expert” or “authority” is influencing how you show up, how you teach, and how you hold space. Of course, your ego is never going to go away– but I think it’s important to continuously check in with yourself and see where you’re allowing your ego to drive. 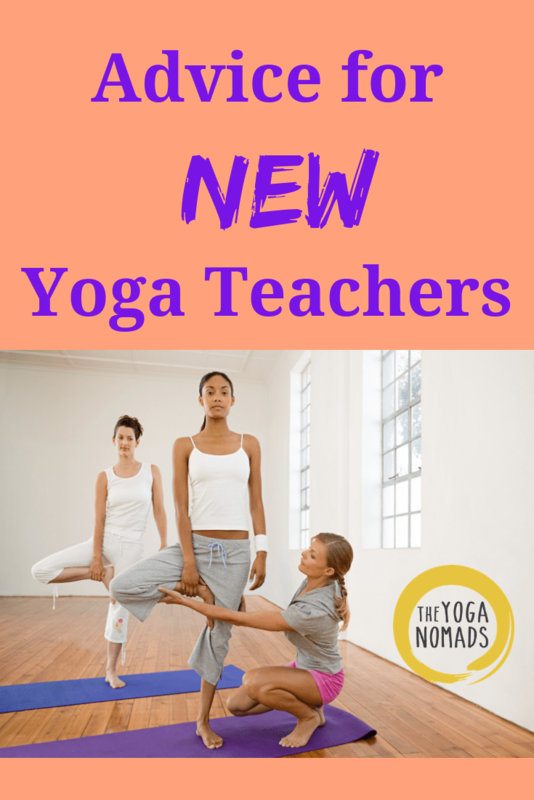 Yoga teachers, what do you wish you knew when you were first starting out? Comment below and share!